The 34th IGC takes place in Brisbane this week, with a wide range of themes that will be of interest to sedimentologists. Key themes for sedimentologists are Theme 13 ‘Sedimentation and Sedimentary Processes’ and Theme 24 ‘Reefs and Carbonates’. Symposia within these themes include: 13.1 Continental depositional systems; 13.2 Deposits of coastal and shallow marine systems; 13.3 Deepwater sedimentation; 13.4 Depositional controls on reservoirs; 13.5 Applied ichnology; 13.6 Sedimentation in icehouse versus greenhouse epochs; 13.7 Modelling sedimentary systems; 13.8 Global controls on sediment accumulation; 13.9 River-dominated shelf sediments in Asian seas; 24.1 Reefs and Carbonates – secular changes including climate; 24.2 Ancient reefs; 24.3 Understanding microbial carbonates. Other themes of interest include: Theme 3. Climate Change: Lessons from the Past; Implications for the Future; Theme 4. Environmental Geoscience; Theme 6. Energy in a Carbon-constrained World; Theme 10. Coal - a Myriad of Resources; Theme 11. Petroleum Systems and Exploration; Theme 12. Unconventional Hydrocarbons – Emerging Fuels; Theme 14. Basin Formation and Continental Margin Processes; Theme 18. The Proterozoic Earth; Theme 19. Geochronology and Isotope Geology; Theme 23. Evolution of the Biosphere; Theme 25. Marine Geoscience and Oceanography; Theme 29. Surficial Processes and Landscape Evolution. The International Association of Sedimentology (IAS) will be present at the – visit them at booth #192. The Geological Society of Australia’s Sedimentology Special Interest Group will be holding an informal meeting on Monday 7th August at 19.00h in room M2. I’ll be there, and am hoping members attending the IGC will come along to say hello and discuss what we’d like from our group. An unfortunate clash of the timetable sees this meeting scheduled for the same time as a meeting of the International Association of Sedimentology. I’m aiming to keep the GSA Sedimentology group meeting brief, so that anyone wishing to move on to the IAS meeting afterwards can do so. All IAS members attending the 34IGC are invited to an IAS Business Meeting on Tuesday 7th August in room P7 from 19.00 to 21.00 h to discuss with Secretary General Vincenzo Pascucci, Treasurer Marc De Batist and PR Officer Patric Jacobs new ideas about sedimentology and ways to promote and structure IAS in South-East Asia and Oceania. It looks like this should be a great congress; it will be a busy week! Are you a sedimentologist, or interested in sedimentology? Are you based in the ANZ region, or do you have research interests here? If so, please join us, and become a founding member of the new Australia and New Zealand Sedimentology Network! 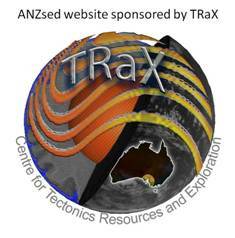 The ANZsed aims to promote communication and a sense of community between sedimentologists in the region, support and encourage young researchers, organise meetings, and provide a resource-base focused on ANZ sedimentology through this website.